Ebook stores, like Amazon, Apple and Google that have created a complete system for discovering, downloading, and reading digital books have a great advantage: they can track what their customers actually read, for how long, and which parts of books they skip. No one advertises the tracking feature that much, and the companies don’t share the data with publishers or writers. Anyone who has ever written anything, however, can understand the value of that information. 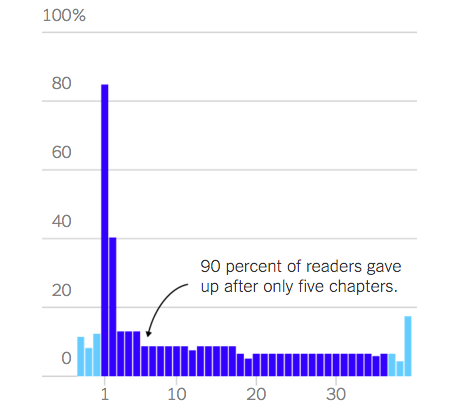 – Fewer than 50% of the books tested were finished by a majority of readers. – 5% of the books Jellybooks tested were completed by more than 75% of readers. – If readers quit a book, they typically do it in the early chapters. – Women try to go on even if they don’t like a book until they have read 50 to 100 pages. – If men don’t like a book, they tend to give up after 30 to 50 pages. 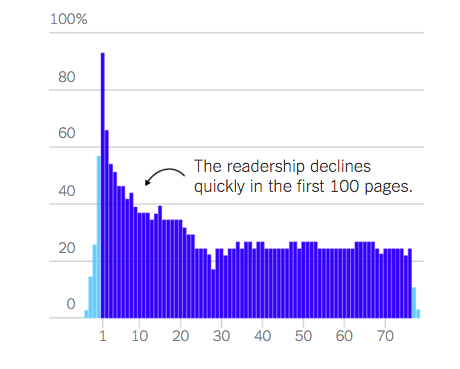 – 60% of books fell into a range where 25% to 50% of test readers finished them. 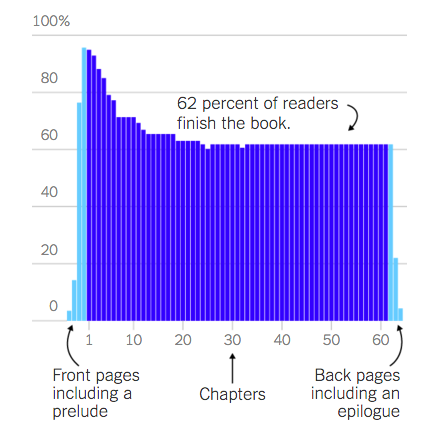 A less successful novel loses readers until a percentage of people stay with it. Source: Jellybooks. The key difference with this method (automated tracking) and asking readers the same thing is that the automated system is more honest than answers by survey participants. Does a tracking system like this provide valuable information for authors and publishers? Certainly. The real far-reaching question is what an author or a publisher does with that information? – One European publisher reduced its marketing budget for a book after the test showed that 90% of readers gave up after only five chapters. – A German publisher decided to increase marketing on a debut crime novel after data indicated that nearly 70% of readers finished it. 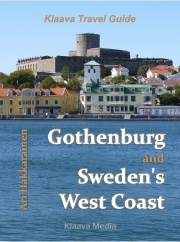 A nonfiction book, like a travel guide (that Klaava authors produce) is often read and used in a different way as a novel. It is common to browse a nonfiction book, read chapter 7, then chapter 11, view a photo gallery in chapter 12, and return to the beginning. Still, it would be valuable both for the publisher and the author to learn which chapters are always read and which ones skipped. Book subscription services, like 24 Symbols, Bookmate, and Scribd can also collect plenty of information on their customers’ reading behavior. Jellybooks readers are volunteers who get a book and agree to share the collected data with the company. The same applies to book retailers and subscription services: we have agreed to let them collect data as we use their services. This novel lost 90% of its readers in early pages. The publisher ended its marketing program for the book. Source: Jellybooks. 2016-05-03 by Klaava in Bookstore, Reading. Tags behavior, finish, tracking.